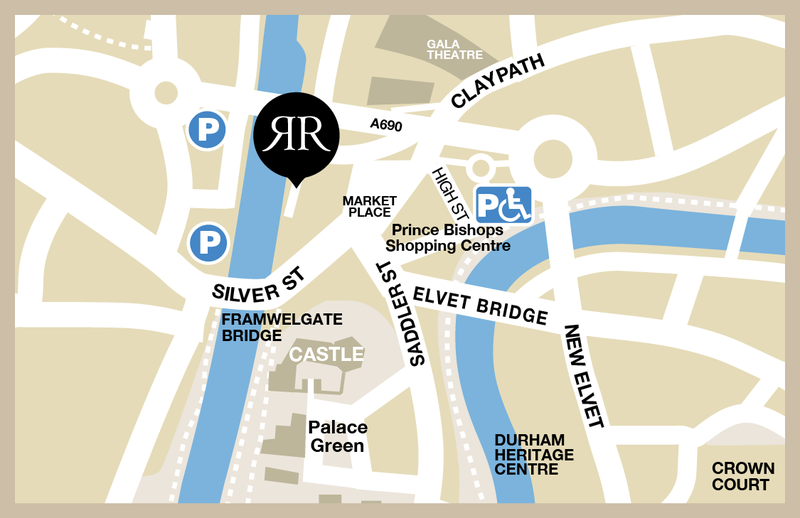 Luxury private 2 bedroom riverside Durham letting in the historic centre of Durham City, with large private balcony, secure gated access, own courtyard entrance and onsite parking. Wonderful views, within a few minutes walk of the Cathedral, Castle, Market Place, Railway Station, University, chic bars, restaurants and shops, it provides a great alternative to a hotel or guest house. High quality bespoke furnishings throughout, the apartment has a comfortable quiet open plan lounge and well stocked modern integrated kitchen / dining area with French Doors leading to its riverside terrace with seating and outdoor dining area. 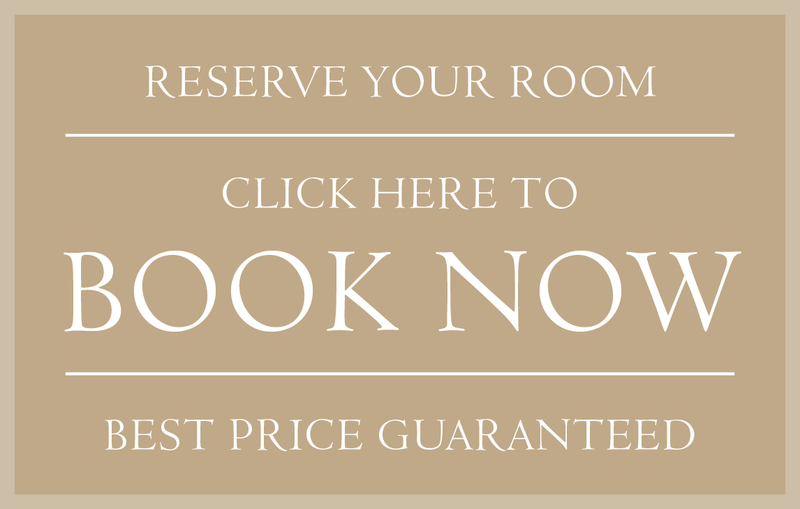 There are two riverside double bedrooms with spacious bespoke wardrobes, luxury furnishings and widescreen TV. The second has a feature window and can be configured to a twin bedroom if preferred. The light and airy well lit family bathroom and ensuite are fitted with high quality sanitary ware. Efficient electric heating throughout. Complimentary Wi Fi and Netflix. Great motorway links. • Superb private, secure and quiet riverside location with great views overlooking the weirs. • Short walking distances to the Cathedral and Castle (6 minutes),Market Place (2 minutes), Theatre and Cinema (3 minutes), Restaurants, Bars, Cafes and shops (various within 5-10 minutes). University Colleges ( various within 5-20 minutes) and situated on the famous riverside walks. • Fully refurbished for Summer 2017 by renouned Interior Designers TCL at Home. • High end quality furniture and fittings throughout, bespoke handmade curtains and soft furnishings. • Bathroom and ensuite both with Villeroy and Boch and Hansgrohe sanitary ware. • Luxury modern well stocked integrated kitchen with granite work tops / dining area. • Instant electric heating from wall mounted radian heaters throughout, with feature travertine Celsi fire in lounge. • Freeview TVs in lounge and both bedrooms with complimentary Netflix. • Large balcony terrace overlooking Framwellgate Bridge with great views and outdoor seating for lounging and al fresco dining. • Within walking distance of the Railway Station and with very close Motorway links. • 24 hour emergency support by Owner. • Free secure private parking. Beautiful apartment in a great location…really convenient for exploring Durham. James was very hospitable and the welcome hamper was a lovely touch. It is a real retreat and home from home with everything you need for a weekend away….we loved it! What can I say? A perfect apartment, both in decor & location. No comfort has been missed & if you do find anything you need, the hosts will do their very best to accommodate. I needed a bolt hole where I could relax and this was perfect but equally, it would be the perfect base for exploring the City and beyond. The personal touches show how much the owners care that their guests have an enjoyable stay. Perfect location, impeccable and nicely appointed space with quality bedding and amenities. Welcoming and informative. Quiet and relaxing. On arrival we were greeted personally by James which is a great touch, he showed us round the entire apartment, let us know how to use the keys/heating/fireplace etc which was fab and he also provided loads of tips about places to eat/things to do! The apartment itself is gorgeous, a super luxury treat with plush furnishings, lots of extra touches like reed diffusers and a welcome basket with goodies in. The beds/sofa in particular were exceptionally comfy! The apartment is also very conveniently located, 2 minutes walk away are the main shops/restaurants and 2 minutes in the opposite direction are a bunch of bars/clubs – very handy for a NYE stay! All in all we couldn’t fault the apartment or the service we received from James one bit, he was super responsive and very flexible when it came to checking out on New Years Day which we really appreciated. We would recommended to anyone to stay in this great little apartment. Simply outstanding. James’ apartment is first class in every way – you won’t be disappointed. Firstly, his communication throughout the booking process, plus his warm meet & greet service and follow-up after departure is outstanding. The apartment itself is fantastic. It’s one of the most stylish and well-catered for places you could hope to book. The views from the lounge and bedrooms of the river Wear are wonderful and the beds/luxury bedding are divine. The bathrooms are lavishly furnished with the fluffiest of towels plus an exquisite set of toiletries. In addition, James goes to enormous trouble to provide an extremely generous hamper of goodies for his guests and if you take the trouble to let him know of any dietary needs in advance, you can be sure he’ll tailor the hamper accordingly. We stayed for Christmas and our festive basket of food and drink was incredible – so generous and thoughtful. We loved our stay at Riverside Retreat and cannot recommend it highly enough. We will definitely book again should we return to Durham for an extended stay. I dare say that this is the best apartment (at the time of stay) if you are looking for somewhere right smack in the city centre which is new, clean and with modern amenities. It is located right behind the Durham market place and has easy access to the market, castle, cathedral, the hill colleges, supermarkets, pubs, restaurants and shops. We loved that there is a secure sheltered parking lot just on the door step of the apartment. The apartment was beautifully furnished and a lot of thought was put in by the host to ensure our comfort. James is a warm, friendly, thoughtful and helpful host. He personalised his welcome letter to us and included useful tips and information as well as a thoughtful gift for my son. The welcome hamper was huge and packed with bread, cereal, fruits, cheeses, butter, a selection of jams and spreads, spring water and milk. There was a bottle of Prosecco chilling in the fridge as well a platter of mince tarts, strawberries, grapes and cream. He always responded promptly to our queries. We certain recommend this apartment and hope to be back! Our stay at the Riverside Retreat was exceptional. 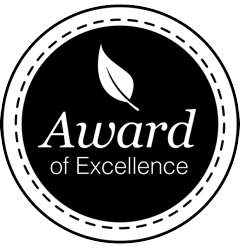 We felt that James went above and beyond in thoughtfulness and attention to detail. The apartment itself is lovely, comfortable, and ideally located. Beyond that, James was a wonderful host. We were welcomed with a hamper and refrigerator full of goodies that made us feel right at home. Information about local attractions and flexibility were also much appreciated. In short, James went above and beyond. If only every host were as thoughtful and attentive. It all made for a memorable stay, and I would recommend the RR highly. Thank you, James. I was thrilled to be the competition winner of the two night stay at Riverside Retreat. Having spent the past two nights there, I can say without any hesitation, it was a wonderful and very special experience. We received a very warm welcome from James who was there to greet us on our arrival on Sunday afternoon. The apartment is ideally situated on the riverside just a stone’s throw from the city centre. The attention to detail is second to none. All the furniture, fittings, soft furnishings, bed linen and towels are of the highest quality. The “wow” factor is instant on entering. James was so helpful offering us advice and recommendations. We loved the added bonus of the welcome hamper, a very thoughtful addition, and much appreciated. We had a fabulous dinner at the Bistro Italiano on Claypath (recommended by James) on Monday evening when our friends joined us overnight. They too were mightily impressed with all aspects of this amazing apartment. Both my husband and myself were born and raised in County Durham and have lived in Cheshire for many years. It was a privilege to return to our much loved city and experience this “gem”. We had two wonderful nights sleep in what must be the most comfortable bed we have ever shared! A sentiment which was also echoed by our friends. Thank you James and Trish…..we will most definitely be back in the future. In the city centre overlooking the river, this apartment is as good ad it gets. Beautifully furnished and equipped and although expensive ,actually great value particularly if two couples are sharing. Two bedrooms, two bathrooms. The best welcome pack we have ever experienced. We will be back again and again. 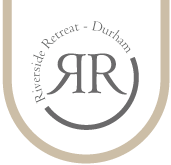 The Riverside Retreat is a fantastic place to stay and makes a trip to Durham that little bit more special. The property is brilliantly located, with a wonderful view out over the river, and is really nicely finished with touches of luxury throughout. James is a superb host, and went the extra mile with a number of thoughtful additional touches to make our stay really top class. A perfect location on the river. Walking into the town is 5 mins away up some steep steps! Apartment v clean and basket of goodies great fun. James v helpful all round. Made our weekend in Durham v special. Felt safe, quiet and secure. Thank you for your very kind comments Claire. I very much enjoyed meeting you and your family and hope you decide to stay at Riverside Retreat again in future. As you quite rightly say, on one of the routes from Riverside Retreat to the Market Place there are some steps, but I hope you don’t mind me mentioning that there are 2 other routes of similar distance from the apartment to the Market Place that have no steps and we’ll make our future visitors aware of this. Thank you for enabling us to improve our customer service. Our first ever airbnb experience. The apartment is very well located and has been recently decorated to a high standard. it was clean and tidy and had everything we needed. James was available to answer questions at any time. I’d definitely stay again if in the area. Fantastic apartment. Brilliant location, central but private and quiet. Immaculately clean and thoughtfully designed with every modern convenience you could need! All top of the range stuff, felt like a luxury home rather than a b&b. Extremely well equipped, all the essentials for self-catering plus so many unexpected extras like beautiful fresh flowers, a very generous hamper and even Lurpak in the fridge! Wonderful hosts, we were made to feel so welcome, James even rescued and returned my little boy’s favourite soft toy that we left behind. The best place we have stayed, real attention to detail. Thank you! Perfectly located overlooking the river with views to admire from the bedrooms and sitting-room, this apartment is hard to leave. There is a good-sized terrace with lounge furniture to enjoy in the warmer months. The accommodation is modern, quiet, secure and beautifully furnished with proper showers, wonderfully comfortable beds and everything is clean. We were delighted with the on-site, secure parking space and Nespresso machine whilst the children were thrilled to discover Netflix in their bedroom! We all enjoyed the lovely welcome hamper and thoughtfully-provided information left by the owner who was very helpful throughout the booking and arrival process. Can’t wait to return! We had a great time in Durham in this immaculate apartment. We met our host James when we arrived, he was fantastically helpful with local tips and a completely genuine, courteous host. The apartment was very comfortable, clean, delightful. Close to the centre, no need for a car which was great. It was a real treat to be there. Thank you James. Riverside Retreat is a luxurious apartment a real hidden gem and we had a wonderful stay. We were warmly welcomed by James after a long drive from Epsom Surrey and shown to our allocated parking space in the gated development – such a major plus in any city centre! The apartment is luxurious; a great deal of thought has been put into Riverside Retreat from the toiletries in the bathroom to the selection of coffees on offer! The well-stocked hamper was a delight and had something for everyone, as was the surprise treat in the fridge! The purpose of our trip was to attend Durham University’s open day and James in his welcome letter had very kindly supplied us with a map of the university, which was a lovely touch and proved to be a very helpful gesture! Wonderful host, wonderful apartment would highly recommend. Want to know more about Durham or need information about the area? Click on the link before to view 'This is Durham' website. To view our terms and conditions simply click on the link below. For information on what is going on in the area and local events please follow the link below to trip advisor.